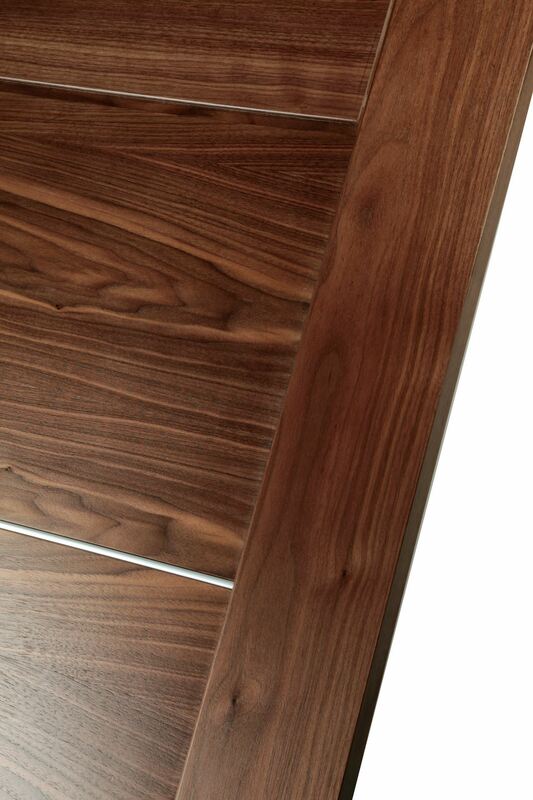 Real Walnut veneer over a semi-solid core. 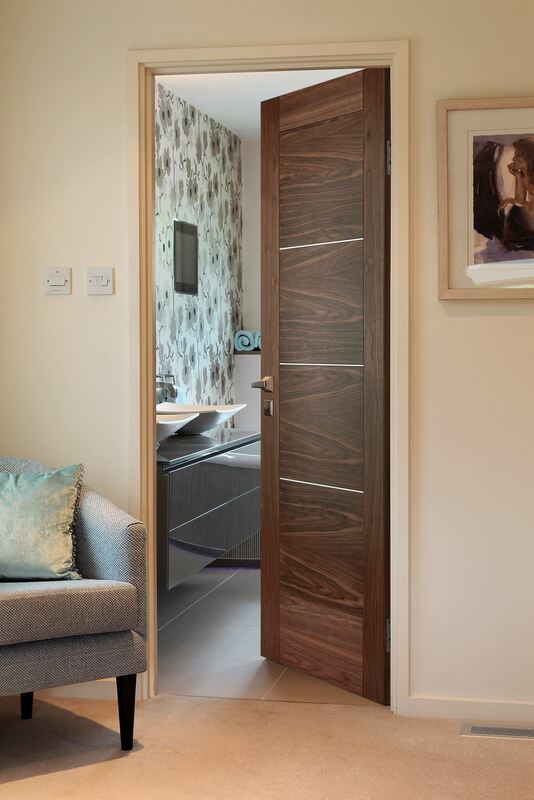 In trimming any part of this pre-finished Walnut door you will need to re-seal the exposed edges with a Clear Satin Polyurethane based Varnish. *In trimming the height of this door you may expose the core.